The mouth, just like any part of the body, can be susceptible to a number of complications. Broken teeth, a misaligned bite, bone imperfections, and a number of other factors can be causing you problems, whether you even realize they are occurring or not. When one or more of these dental-related complications are present, it may be time to see Dr. Jivraj, a multi-award winning prosthodontist who specializes in the complicated Full Mouth Reconstruction procedure. Like any well-crafted machine, all the components should be in good working order for the mouth to function properly. When one part breaks down or is misaligned, it can and will affect the overall functionality of the entire mouth. For instance, when one doesn’t properly take care of his or her teeth, he or she can lose one to decay. If he or she doesn’t then repair that missing tooth immediately, the consequences can be alarming. 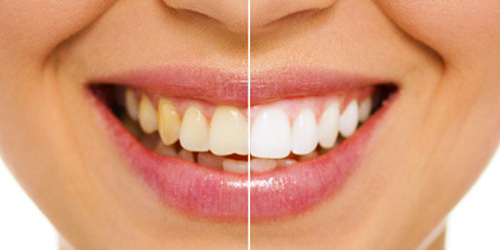 One can become affected by periodontal disease, loss of bone function or loss of bone mass. It can enlarge the sinuses, misalign the jaw, or create any number of non-optimum conditions. Sometimes, something can be wrong when one doesn’t even know it and by the time it’s caught it has already affected surrounding components. When a patient is recommended to receive a Full Mouth Reconstruction, there is often a lack of understanding the difference between this procedure and “just getting new veneers” or other cosmetic procedure. In most cases, a Full Mouth Reconstruction isn’t done simply to help someone improve the appearance of his or her smile. Instead, it’s done because there are major complications, and it’s highly necessary to maintain the patient’s health. A Full Mouth Reconstruction isn’t a procedure that is recommended in order to just beautify your smile. It’s a procedure that is prescribed when your mouth truly needs it. The good news is that with modern dentistry, the Full Mouth Reconstruction allows you to not only regain functionality of your mouth, but also experience the beauty of a perfect smile. A prosthodontist is highly skilled at mouth reconstruction surgeries. 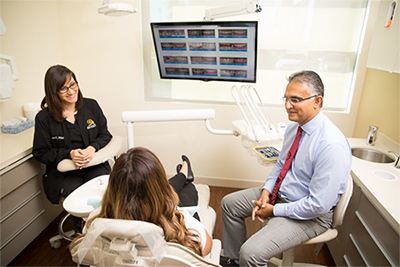 Trained for several years longer than your average dentist, Dr. Saj Jivraj delivers among the best Full Mouth Reconstruction procedures in Ventura County. With Dr. Jivraj at the helm, the staff at the Anacapa Dental Art Institute are ready for your Full Mouth Reconstruction procedure needs. If you are or feel that you might be in need of one, call today for a consultation. The longer you wait the worse off the health of your teeth, mouth and surrounding areas will become.